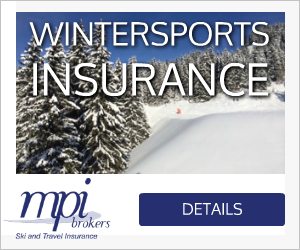 We are able to offer a solution for you to be able to purchase Ski Insurance online through our partner MPI Brokers. They are an established and well-respected provider of travel insurance with a specialist knowledge of the ski industry. It is essential to be properly insured when partaking in a ski holiday – and indeed it is a condition of booking with Ski Weekender that you have in place an adequate travel insurance policy that specifically covers you for Winter Sports and Ski Cover. Please note that an EHIC card will not provide cover for most of the treatment you may need in case of an injury and you would be personally liable for the cost of your doctors or hospital treatment. These bills can quickly run into thousands of pounds. Equally – a cart-neige bought in resort will not provide you with any medical cover in hospital and should not be relied upon (it would cover the piste rescue and transportation costs only). Any questions about Ski Insurance... ?